A pair of GPRC Wolves rookie x-c runners led the way in a great day for the home team at the Steve Burgess Memorial at the Wapiti Nordic Trails on Saturday. Fiona Benson, shattered Jenna Huber’s 2000 womens course record by 71 seconds, laying down a time of 15:35 on the 4 km course. Benson finished 49 seconds ahead of Edmonton’s Jennifer Kemp, a finalist at 800m in this year’s National Track and Field Championships. Another Wolves rookie, Jessica Elliot, placed third. On the mens side Devin Woodland surged ahead in the final few kilometres to take the mens victory. Woodland’s time of 26:51 was 20 seconds better than runner up Buddy Brown from Augustana, and 41 seconds clear of bronze medalist Andy Bas of Concordia University College. Wolves sophmore Kyle Ross placed seventh. In the overall team competition, GPRC tied MacEwan University with 31 points, but placed second on a tie breaker. A tie breaker was also needed to separate the Wolves and MacEwan in the womens team race where both teams racked up 20 points. Again, MacEwan prevailed on the tie-breaker. In the mens team race, MacEwan won with 27 points, ahead of Augustana in second, and GPRC in third. This year’s Steve Burgess Memorial attracted 103 finishers from across the province. 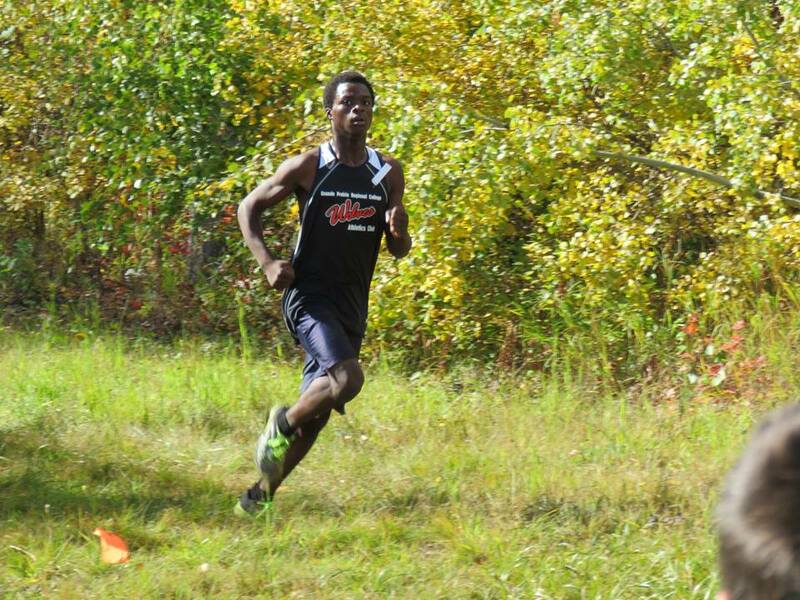 It was Race #2 in the Wolves Cross Country Series as well as Race #1 in both the ACAC Grand Prix Series and the Run Alberta Cross Country Series. Race #3 in the Wolves Series, the Grailquest, goes next Saturday in Fort St John.